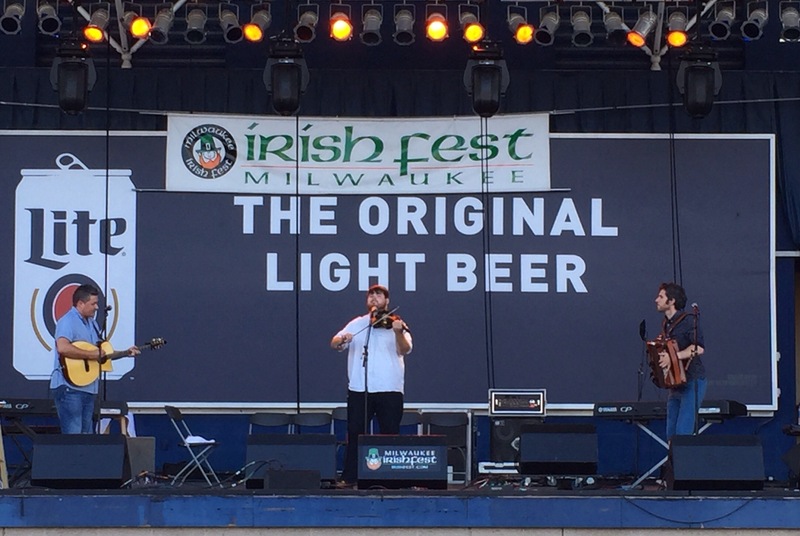 With few exceptions, Sylvia and I among them, it’s all Irish eyes at Milwaukee’s Irish Fest this weekend. We accompanied my former Notre Dame classmate and Irish pal Frank to opening night . Thursday evening’s preview session stepped off with newcomers to the festival, Barrule, a trio from the Isle of Man comprised of bouzouki, fiddle and accordion. 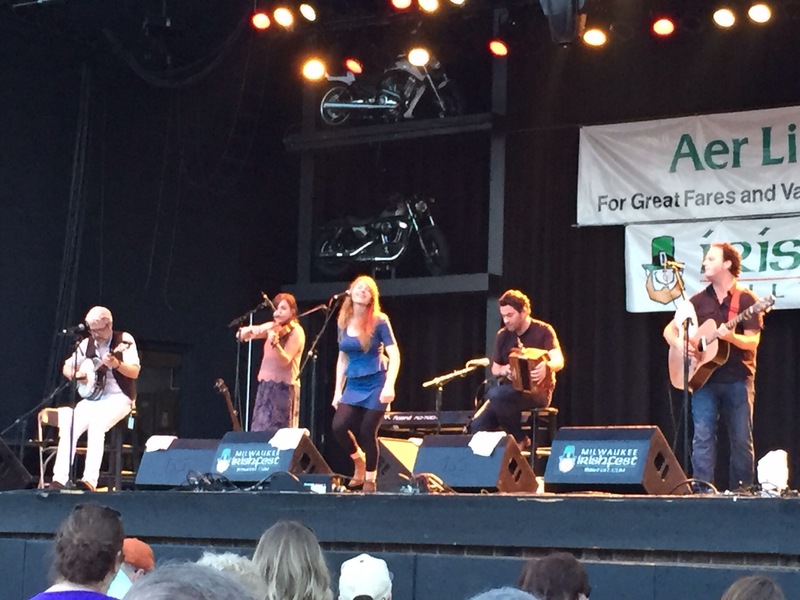 Their blend of Manx jigs, reels and songs provided a pleasant opening to this celebration of Celtic music and culture. Another new band at the fest is Runa, in whose blend of traditional roots music and contemporary Irish folk songs we heard hints of bluegrass, jazz and blues. 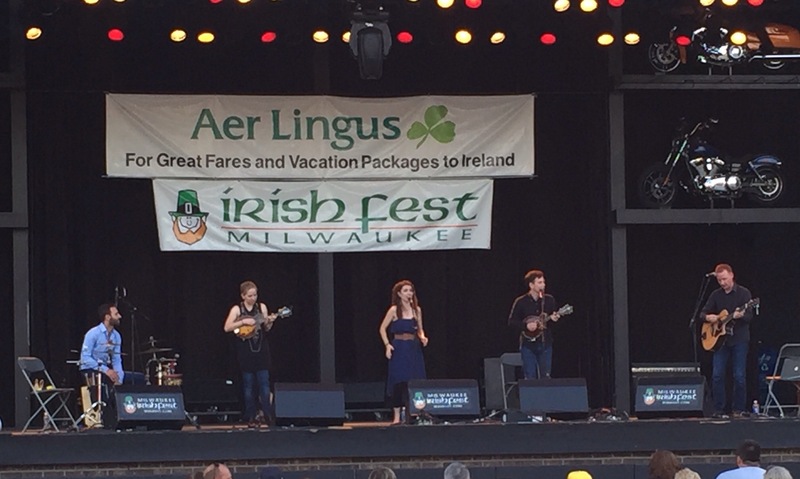 When They deftly wove verses of My Girl into a Gaelic song, the audience responded with even greater enthusiasm. We’ll definitely hear more from Runa as we seek out their extended performances over the weekend. …and I’ll be keeping my eyes (and ears) peeled for more great performances like these.